Among the several Mirage III derivatives, probably the most exotic of them all, and coincidentally one of the better looking, are the Chilean Air Force Panteras. Nelson joins us from Chile and shares his Herculean efforts to produce an accurate replica of such amazing and peculiar jet fighter!. From a few years back there have been published a few images of at least two or three completed models of the Mirage Pantera two-seater in service with the Fuerza Aerea de Chile (FACh, the Chilean Air Force). However, since we had no similar precedent, it is difficult to share an opinion from the modeller’s point of view. 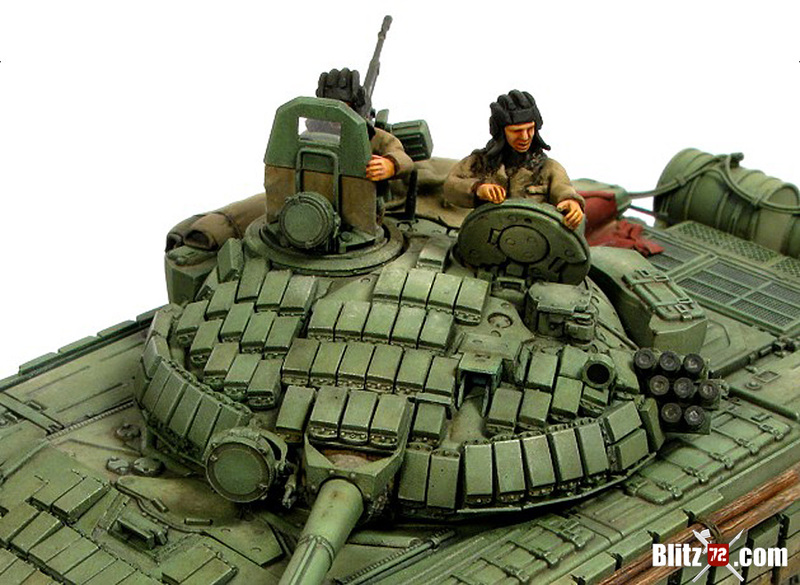 We can only tell they were nicely executed models, with differing levels of detail. 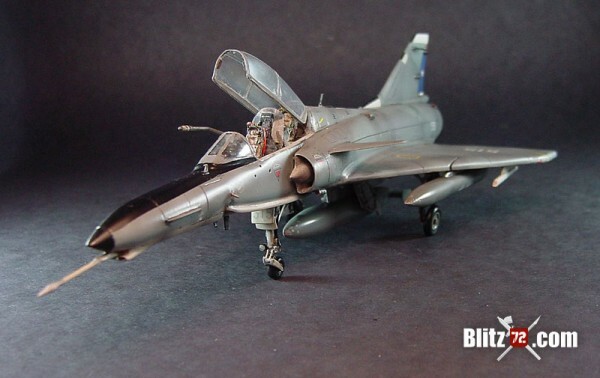 A few years back, after an order to a now defunct Chilean distributor, I was searching for accessories for Heller’s Mirage III and the Kfir in 1/72nd and I found out the existence of this little known brand, at least to me. It is High Planes from Australia, property of Steve Mandich. 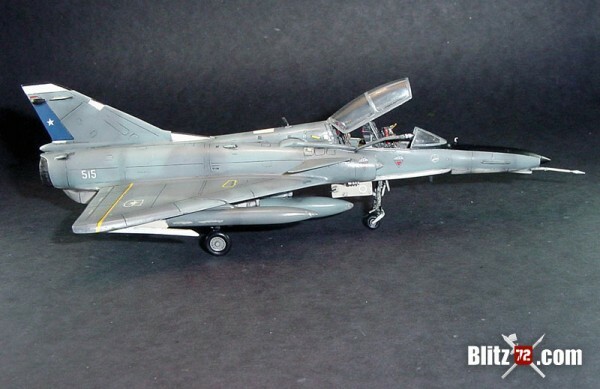 In High Planes’ catalogue I was surprised to find at least twelve versions of the Dassault Mirage, and among them the Cheetah D.
After a while I contacted Steve, and placed an order. We began having some degree of communication, and he stated his interest on developing the Pantera, so I sent him some information I had on hand. At the same time I mentioned the Cheetah D could be used to build a dual-seater Pantera, but after some modifications to the original model. Alter three years, and although High Planes produces short run kits, the dual-seat Pantera hasn’t seen the light. 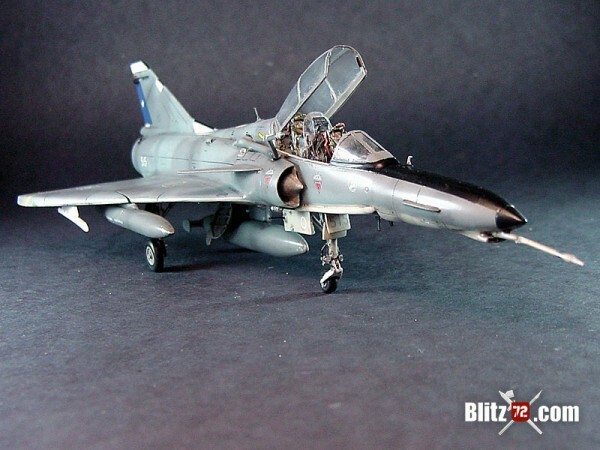 Some of their stock can be used to face the present project, which is the two-seater of one of the finest fighter-bombers that flew with the Chilean Air Force. 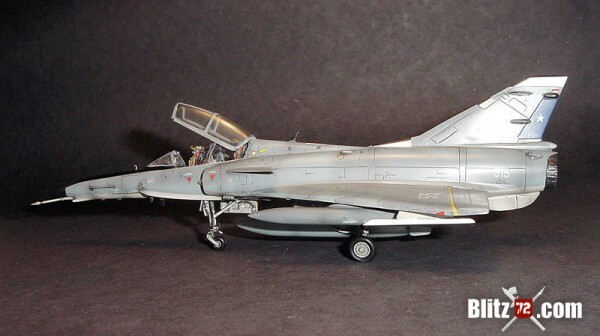 I know there are some accessories (Eagle Design, Spinners) for converting single-seat Kfir into two-seater models, both in 72nd and 48th and basically developed in resin. I haven’t seen them so I won’t give my opinion on these. 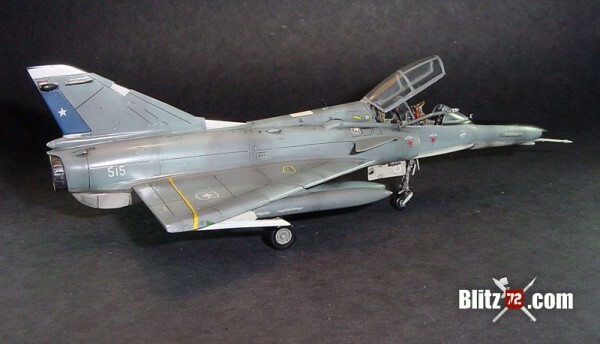 In all case, the chance to develop a project like this must combine elements from a Mirage 5/50 and a Kfir. I don’t pretend to be an aeronautical researcher, let alone an historian. 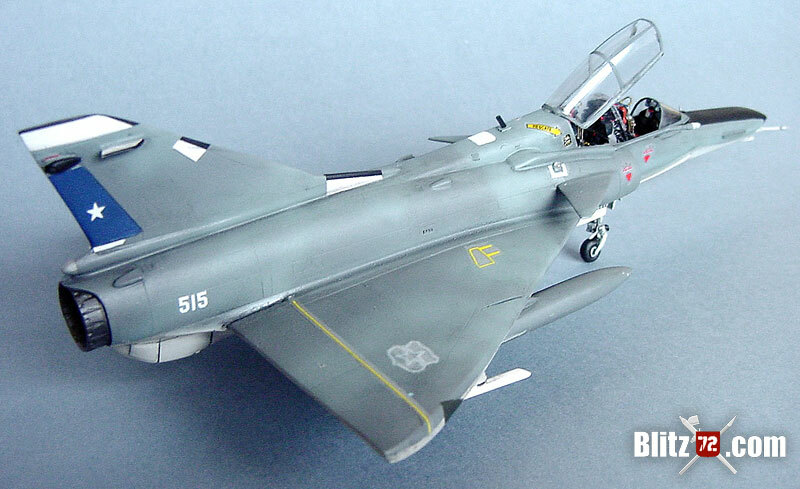 Far from being an expert in Mirages or Chilean Air Force aircraft, I consider myself as a modeller obsessed with details. When I started this project, I contacted the officer in charge of PR in the IV Brigada Aerea 4th Air Brigade, (equals to an RAF squadron, Ed). He obtained a special permission to let me photograph the two-seater Pantera, and also, ask for some details to Grupo 4’s ground crew. Compiling these photos and some of the internal structure led to a permission to take some measurements, in order to clarify some doubts and achieve accuracy. We also had the chance to talk with the Commander of Grupo 4. In my opinion he is one of the pilots who better knows the history and particularities of the Pantera, due to his vast experience flying these machines. He contributed greatly to achieve success in this project. Together with this, I exchanged information with the editor of HP Multimodel about the history and development of the Pantera. Many myths were debunked. 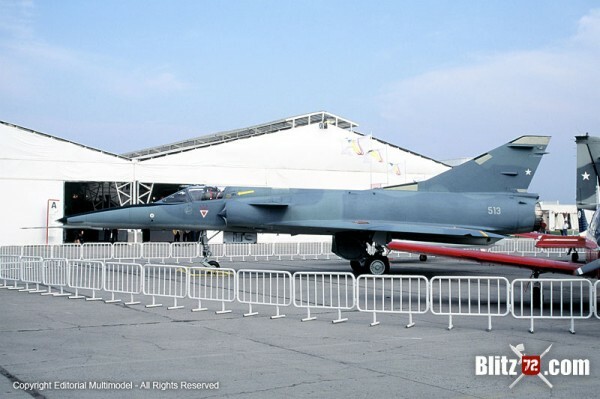 In general terms, Panteras, both single and double seater are equivalent to the Kfir C-7 in avionics, and some structural elements. There are some subtle differences between 515 and 516, but they are essentially equal. Among these differences, 515 didn’t have RWR equipment installed, and thus, external sensors under the windshield were missing and faired. The corresponding display was missing in the cockpit as well. One interesting detail is the cone under the fuselage, originally conceived to house an Omera camera for photo-recce duties. 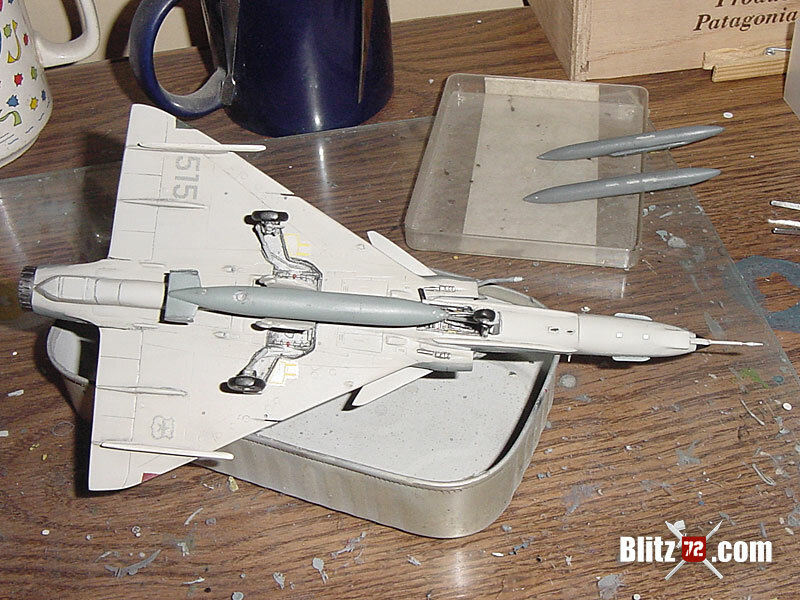 This was modified in the Pantera project, and in its place was installed a flare dispenser. In Pantera 515 I photographed, it is faired over. 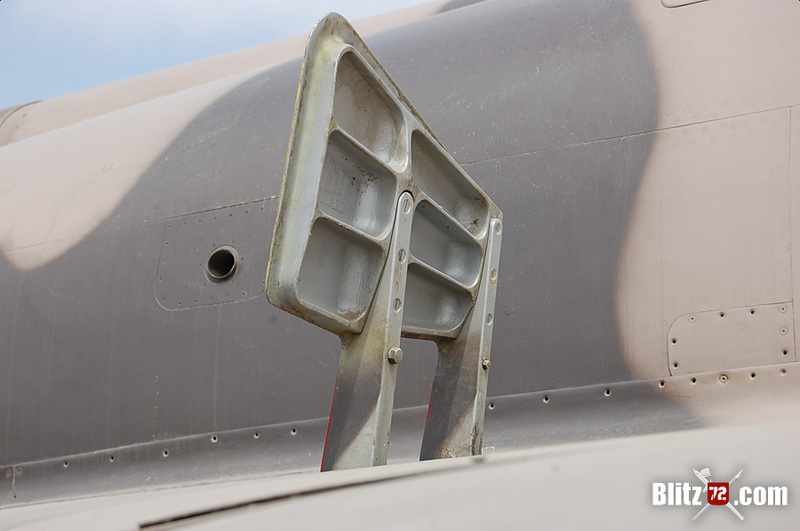 Another field modification seen on Panteras is a navigation light located next to the root of the in-flight refuelling probe, and sourced from existing Cessna A-37. 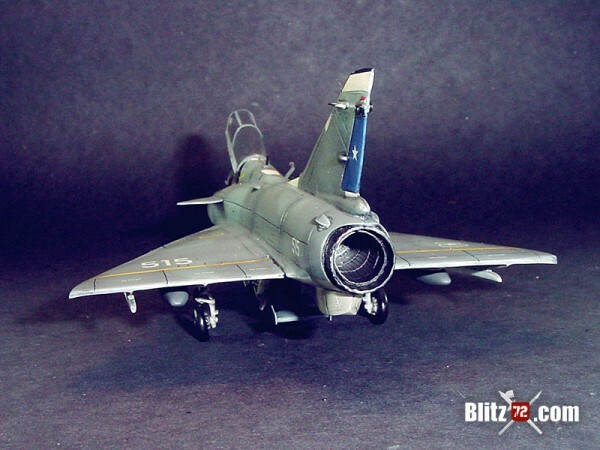 This modification was requested by Grupo 4’s pilots, as night refuelling was very difficult. The shape of this light is semi spherical and transparent. Another general observation is that although single and dual-seat Panteras have a somewhat standard camouflage scheme, every plane has small particularities. This is related to the air friction and paint shades. It is not strange to see patches and touch-ups. With this in mind it is not possible to make a categorical judgement. As such, camouflage schemes changed depending on the time, maintenance stage, or natural wear and tear. 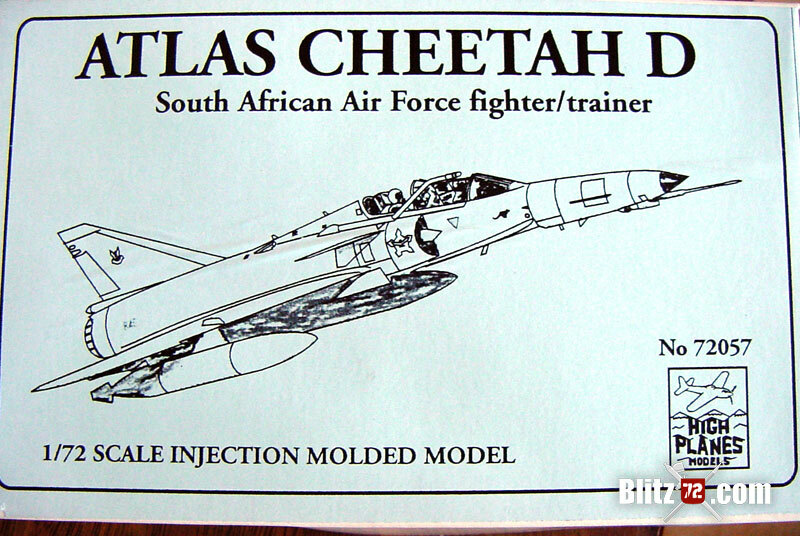 The High Planes Cheetah D kit is very difficult to comment. It has ups and downs that make it a very contrasting model. 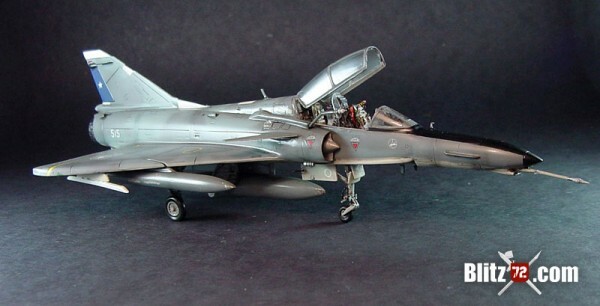 It contains injected styrene in light blue with accessories in resin of a very high quality (exhaust pipe, refuelling probe and main landing wheels) It also has PE parts for its various antennae and ejection seat handles. 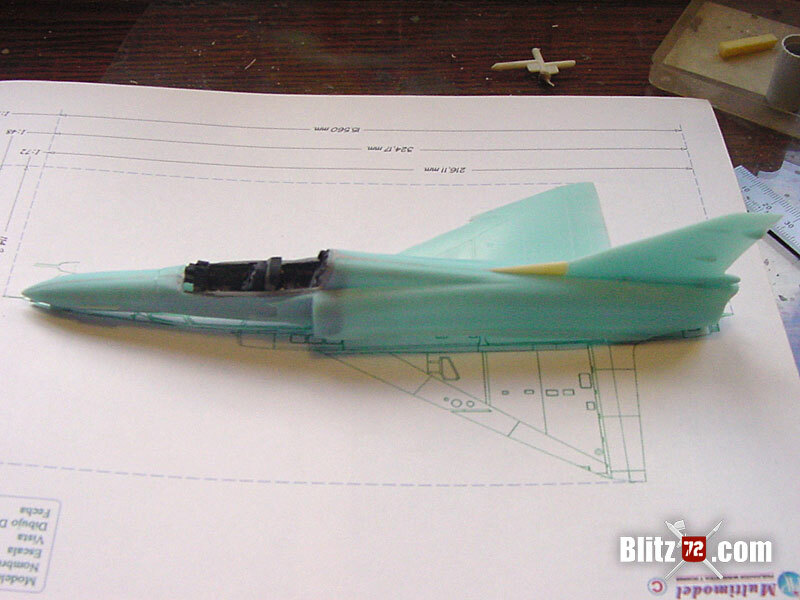 The kit comes with white metal parts for the landing gear. The canopy is vac-formed and decals are supplied for a South African lo-vis machine. In general terms, the model doesn’t have relevant detail, with exception of engraved panels and the shape and size of them. It can be considered a basic kit. The plastic is brittle upon light tension. 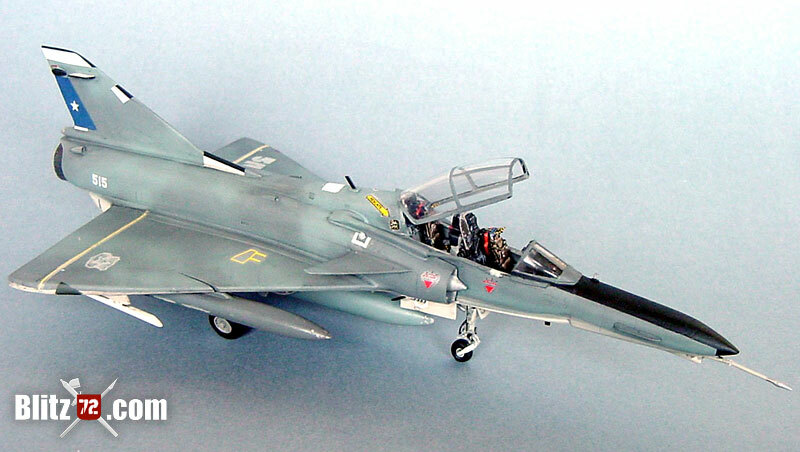 The cabin is adequate for the Standard Pantera (Kfir C-7) and instrument panels must be deeply modified to include MDF screens and RWR indicators. Installing side panels can be a real headache. Likewise, ejection seats must be replaced (Martin Baker Mk.10 from to the kit) back to Mk.4 to which I added some detail; aided with the photos I had on hand. Generally speaking, fit is poor and putty is a very much needed item. I am not exaggerating when I say I spent half tube in the multiple gaps that ranged between 1 to 3mm wide. 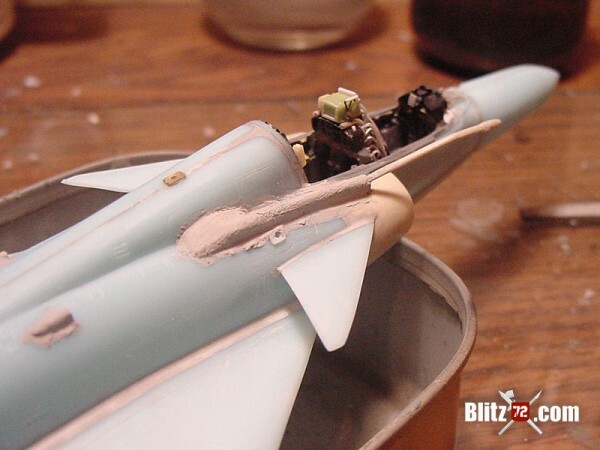 This was particularly true on the undersides of the fuselage and the nose halves. As opposed to the Mirage that I’ve built in the past years (Revell and Heller) wing and fuselage is not so bad, but the gaps are huge. I must add here that the wings were modified to make them look like those of the Mirage 50. That means I deleted the “dog tooth” and made the cut that goes half way in the leading edge. 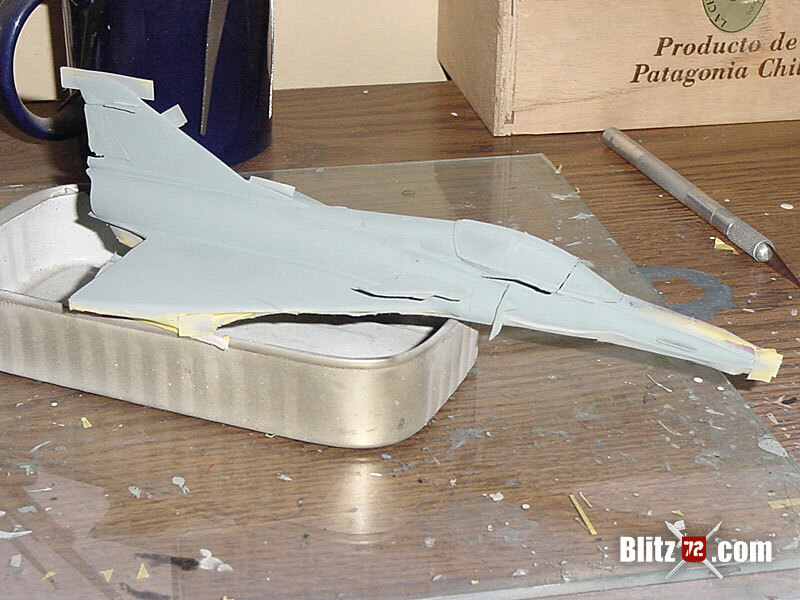 All of this with help of photos and measurements and photographs of the original jet. Having built the structure, I compared the model with two sources I was interested to compare with. 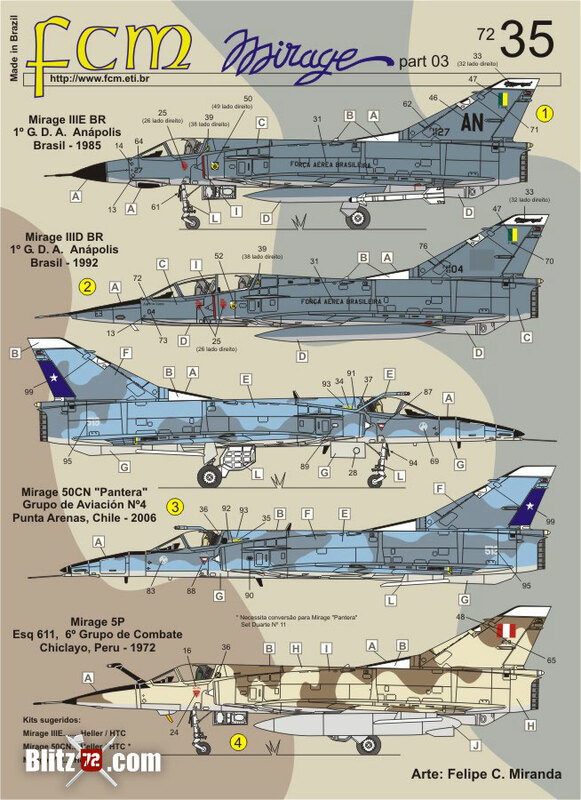 The first one was the measurements I took to the plane during my visit to Grupo 4, and also with the dimensions provided by the Dossier HP Multimodel that covered the Mirage in Chile. To those interested in such details, they can rest assured that both the kit and the publications are correct and coincident. With the structure finished I installed the refuelling probe that came with the kit. Then I detailed the wheel wells and then I did three notable features: the angle of attack sensor, night refuelling lamp and cannon deflectors. They were made of aluminium tube. In all three cases, these pieces were applied after painting and I admit they were slightly over dimensioned in order to be seen. 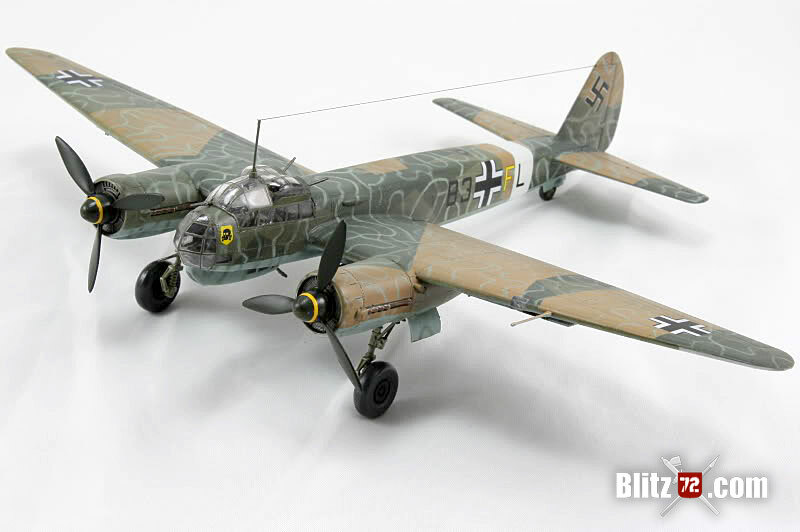 A lot has been said about the mimetic schemes used in the aircraft and choosing the right colour was a difficult task. There are general references published on the Internet, there are references in the Dossier HP Multimodel and of course the schemes I had documented in over 200 photographs. It all seemed to differ, as it is no easy to find specific reference about the subject. Alter talking with the maintenance officer under whose command painting is done, he confirmed two important data. 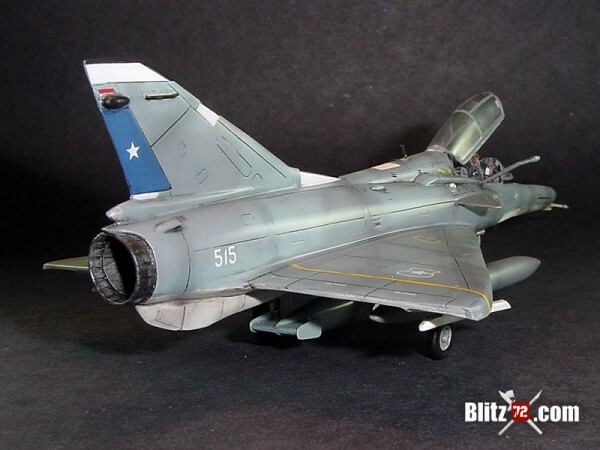 First is that all paint is Chilean made and second, is that they use Federal Standard compliant paint, which can be converted to any colour system used in model making. I must recognize that when I verified the colour chart in the colours I mention, it was hard to relieve that the given information was correct. I double checked with 30 different colour charts, and in all cases it was more or less coincident. Even though, after painting the lower fuselage I opened the tin with Humbrol 145 with the intention of lighting it up by mixing it with Grey 128, but the resulting tone looked more grey than blue. So I ended up the straight colour and once dry, the model looked more like the real thing. 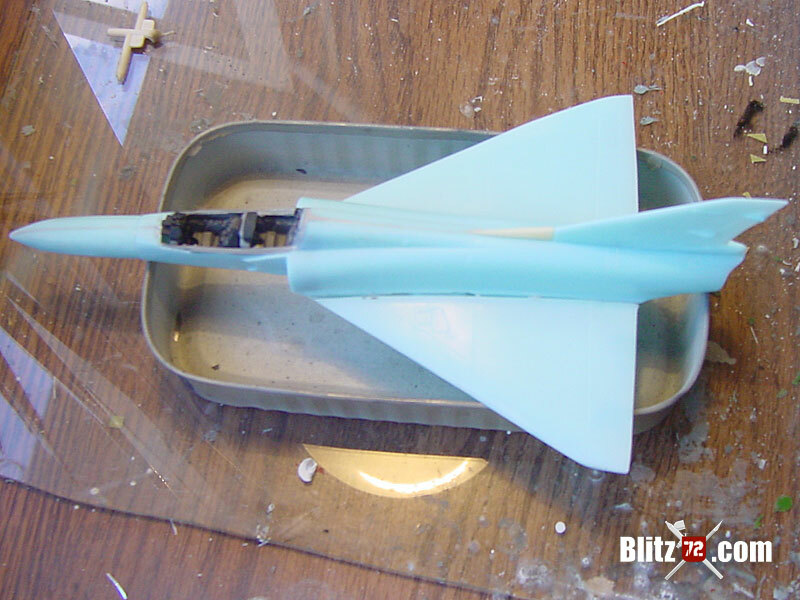 After applying the second colour in the upper fuselage, and taking several pictures the same effect resulted as with the real aircraft. As morale to this story, never again doubt on the references given by the experts!!! After painting the model, including the blue Jack in the tail as per regulations and from 2006 in all Panteras, I applied a wash of black ink all around the model. After that I applied Cera Bravo, the local equivalent to Future. Now it was ready for decaling. I made a mix of different sources for the tactical numbers and insignia. Some warning messages were taken from older projects. Some insignia, like the Grupo 4 unit badge, were home made. 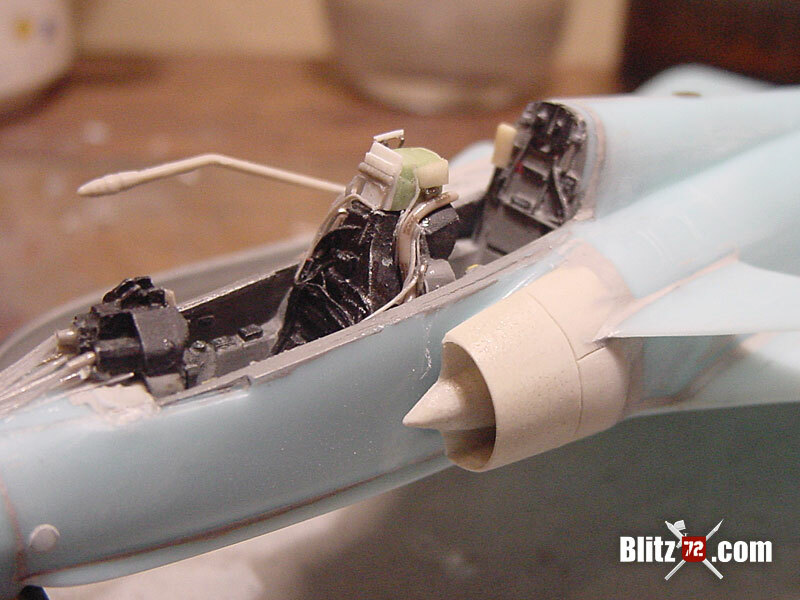 For the upper wing I used the set from AVM. Small numbers and the star were taken from a set of national insignia, and easily available in specialized shops. As deducted by the FS numbers, finish is satin. So I applied a coat of satin varnish. This would help me protect the model, as well as unifying the colours and their shine. This model is testimony of one of the most complex challenges that I had taken in the last years. The results are satisfying, both because the model used and the information was useful to achieve success. 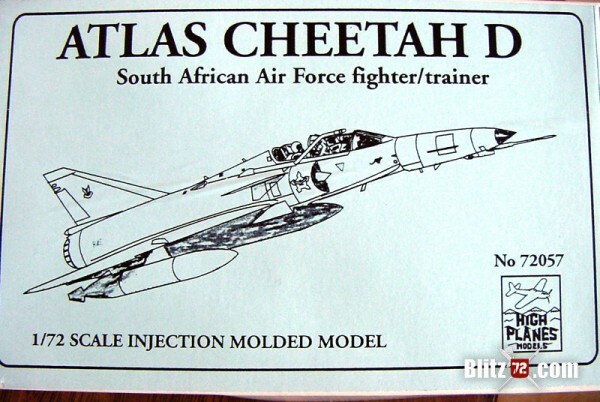 I hope this information is useful to those wishing to undertake this project either as a Chilean Air Force or Latin American air forces enthusiast, as it is a limited edition Dual Pantera, and the only one I had seen completed. 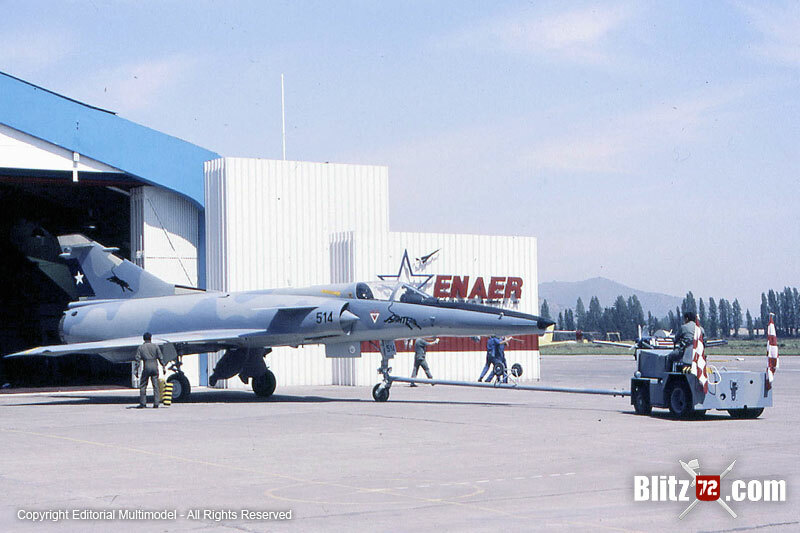 This model can offer endless possibilities in good hands, I am pleased to have it within my collection of Chilean aircraft, both because its aesthetics and because I represents the history of an aircraft of significance, both by its strategic role and the challenges and innovation that involved the Pantera from its origins. These machines had ceased to fly the skies of the Patagonia and the sound of its engines no longer thunders the austral air. This is a humble homage to the aircraft and their crews, deeply related to our history. Over one hundred pilots flew her, hundreds of technicians looked alter the aicrcraft. An outstanding record of safety during her operacional career. All personnel at IV° Brigada Aérea from Punta Arenas, in particular their commander, General Federico Klock. Commander Reinaldo Neuling, in charge of public affairs at 4° Brigada Aérea and personnel Under his command. Commander Cristian Pizarro and the people from grupo N° 4. Sergio Pulgar Neira, for his support, information and critic. Mario Esquivel, for his support and complicity. Steven Mandish for his patience and generosity. My Wife and daughter, who patiently coped my time away from home during three months of work. With all of them I have a difficult debt to repay. Finally and in particular to all of those people interested in preserving, conserving and propagating our historical aeronautical heritage. HP Multimodel: “Los Mirage en Chile”. 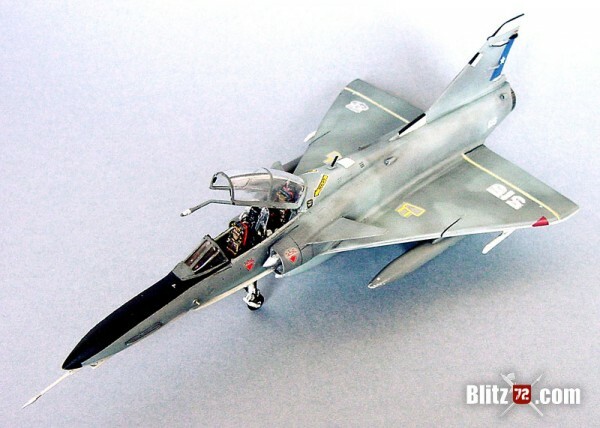 Baa Baa Black Sheep F4U-1A Corsair in 1/72!